Car park area attracts troublemakers, say some traders. 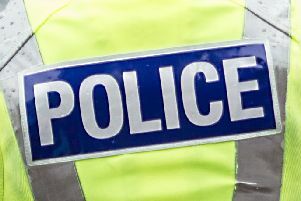 A stabbing in broad daylight has shocked Motherwell traders and brought renewed demands for action to tackle the area’s problems. Promised CCTV cameras that could have picked out the knifeman have not been installed, it was claimed this week. A man aged 26 needed hospital treatment after he was stabbed in a lane between shops in Windmillhill Street and a public car park. It happened at lunchtime on Wednesday, November 30. It’s thought he was attacked after an argument. The victim staggered to a bus stop where he was found slumped on the ground by a nurse who alerted staff at the nearby health centre. First aid was given before police and ambulance arrived. The man was taken to hospital, but allowed home after treatment. Windmillhill Street used to be a busy shopping area, but trade has dropped in recent times. Last year the Times highlighted a number of shop closures, with high rents said to be a significant factor. North Lanarkshire Properties, an arm of North Lanarkshire Council, is a major landlord in the area. One business owner claimed the car park behind the shops and the lane linking them are a magnet for troublemakers. He said: “There’s a problem with litter and the alley is used as a public toilet, but a stabbing takes it to a new level. “We were promised CCTV in the car park, but nothing has happened. NL Properties haven’t even fixed the sensor lights in the lane which haven’t worked since last year. NL Properties insisted the area is not being ignored. A spokesman said: “We are meeting the contractor this week to resolve the issues on site and make sure the lights are operational. “In addition, we have been working on proposals for the installation of CCTV to cover the area at the rear of these shops. “Town Centre Activities Limited have been working on this proposal and are looking to install a wireless camera which will allow them to monitor the area pro-actively.